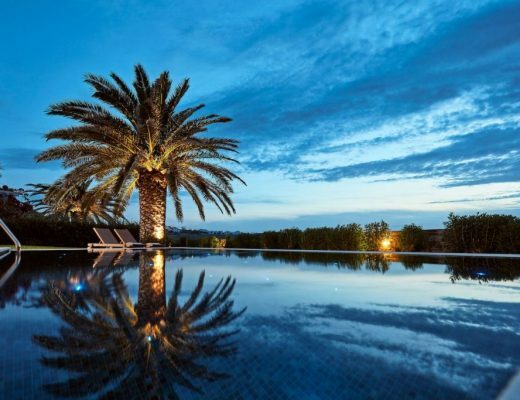 Diachronically a magnet to the world’s adventurers and bon vivants, cosmopolitan Paros island, is at its most alluring at Easter, when ageless mystique and time honored customs blend with springtime’s abundant beauty. 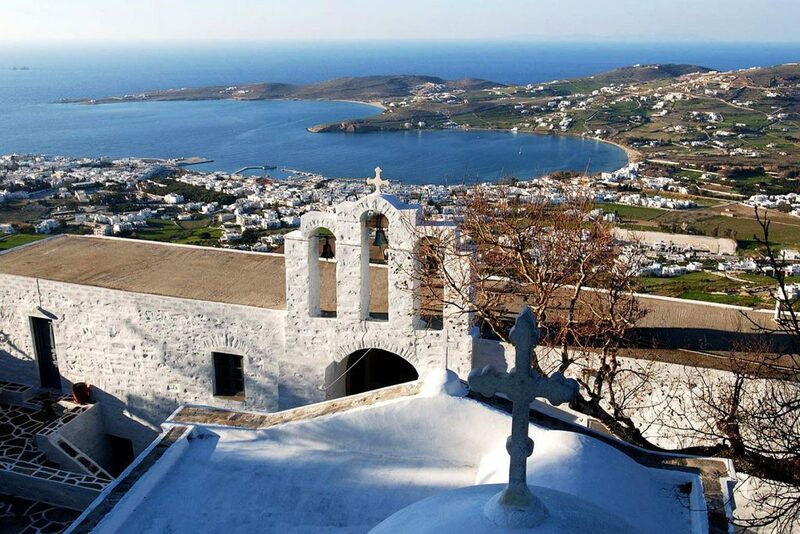 The devoutness of the Holy Week culminates on Good Friday, across the churches and monasteries of Paros island. The deposition of Christ is celebrated with Byzantine splendor at Panagia Ekantotapiliani, Paroikia’s trademark church with the hundred doors; while the service at St. George in Lagkada is equally impressive. On the same day, at noon, the inhabitants of Prodromos village will treat you to a traditional revithada (chickpea soup); in remembrance to their dead. Later on there is an amazing-albeit relatively new- custom taking place in Marpissa which originated Pre- War, some 100 years ago. This event attracts its lion share of visitors who flock into the village’s narrow lanes to admire a series of tableaux vivants, representing the Life and Passions of Christ. These are silent and still theatrical performances by local children and youth, reenacting scenes from the Resurrection of Lazarus, the Last Supper, Prayers at Mount Olive and the Ascent to Cavalry, among others; to narrate the journey of Jesus to the Cross and Redemption. The Epitaph’s already solemn atmosphere is even more dramatically charged and this is why this reenactment has become world famous. Similar representations are also staged in the villages of Marmara, Prodromos, Lefkes and Aspro Chorio. The following day, Holy Saturday, brings about a change of mood, as festivities explode throughout the island of Paros, at the stroke of midnight when local priests announce that “Christ has risen” . Fireworks light up the sky, bells ring and everybody starts to kiss each other in affirmation of the miracle. In Naoussa and Paroikia, locals and visitors, after eating the customary mageiritsa, the delectable soup of lamb and greens, that marks the end of the Lent, assemble in the bars and clubs to celebrate until the early morning hours. On Easter Sunday, the smell of roasted lamb permeates the air, and is complemented by abundant merrymaking, cheering and drinking. Naoussa’s quaint fishing port, resembles a large party where everybody is invited, while in Marpissa, love is celebrated with the revival of the antique custom of Kounia. Festivities continue well into Easter Monday, with festivals in several churches with traditional performances and copious amounts of drinking and dancing. Indeed Easter in Paros island preserves its diversity and uniqueness; its many ancient facets and flavors.It is a spiritual, devout, as much as bacchanalian kind of experience; to be forever cherished and remembered. How would you like to partake in it all? 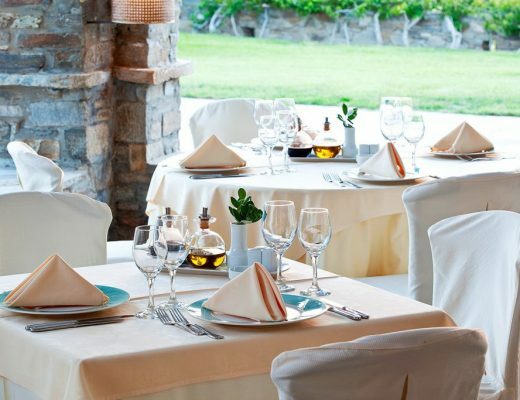 We know we will at Yria boutique hotel and spa, at the heart of the beautiful Parasporos bay! We wish you a Happy Easter and we hope to see you all, again soon at our resort ‘s opening in May. Stay tuned, as we have a host of amazing surprises in store for the coming season!